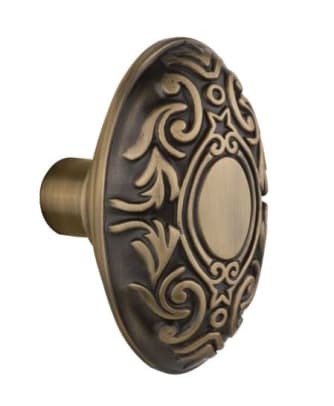 Supplier of solid-brass vintage door hardware: more than 20 door-set patterns with coordinating cabinet hardware & accessories; for new construction & historic renovation projects. Founded in 1980 by an antique store owner, Nostalgic Warehouse™ has grown from a modest proprietorship to a flourishing company. 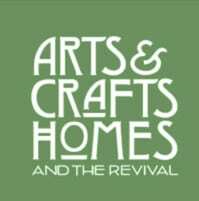 Previously known as Hardware+Plus, the business grew as antique dealers, restoration contractors, homeowners, builders, and architects joined the customer base. 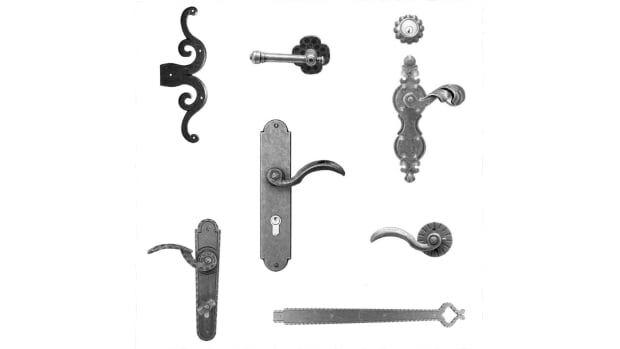 Demand for the vintage style door hardware spread to Hollywood, where the company’s products became a favorite of art directors and set decorators. Sommersby, Legends of the Fall, The Firm, The Client, Casper, The Ghost and the Darkness, Men in Black, Jumanji, Vampire Diaries, Gotham, Chicago Fire and Boardwalk Empire are just a few of the films and television shows included on the list. In January 2005, a new line called Grandeur™ was developed. 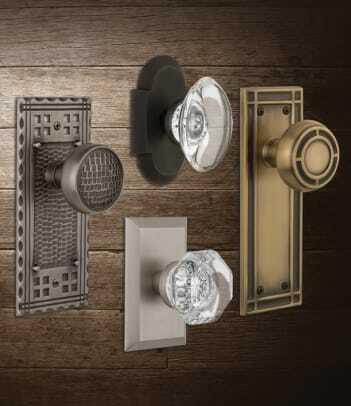 The goal was to produce an elegant, mechanically robust, traditionally styled, and easy-to-install line of distinctive door hardware for the new construction market. 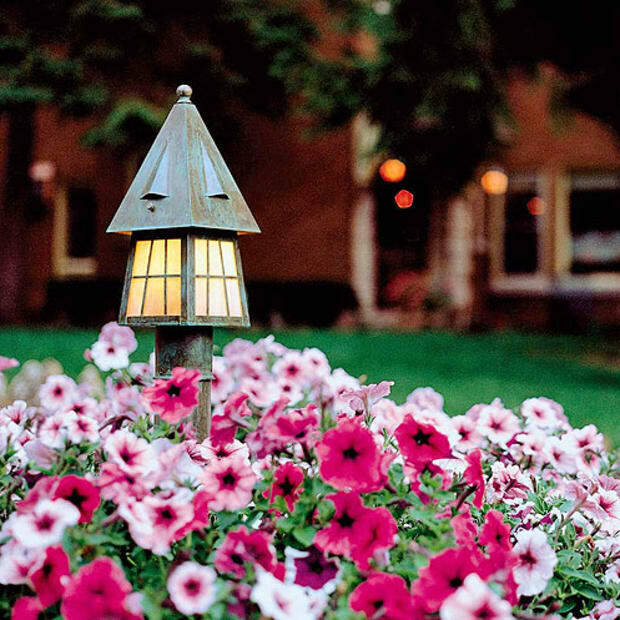 Grandeur™ was enthusiastically received, and soon became a top seller. Today, the goals of the company are still the same as they were over 20 years ago: to manufacture premium products developed with unequaled attention to detail, capturing the original intent of the vintage hardware that served as its inspiration. As Nostalgic Warehouse™ continues to grow and move forward, they will add new styles, finishes and accessories, but always with a fond appreciation of the past. 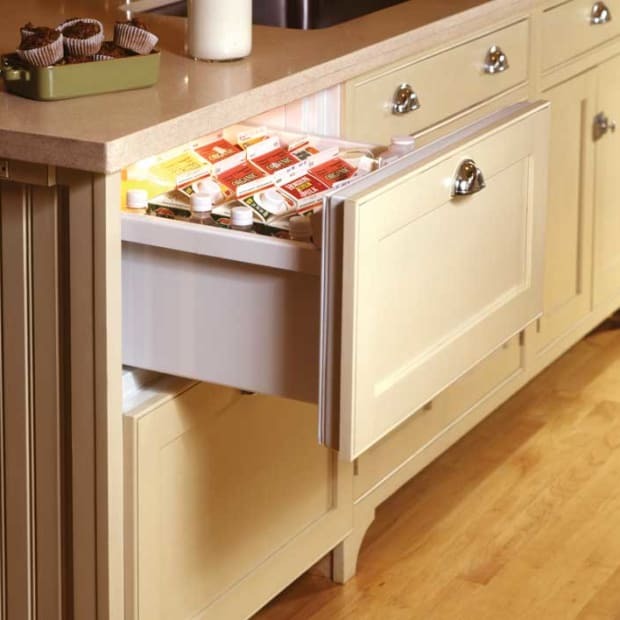 Extensive collection of high-quality door, cabinet, and bath hardware in a variety of finishes and styles. 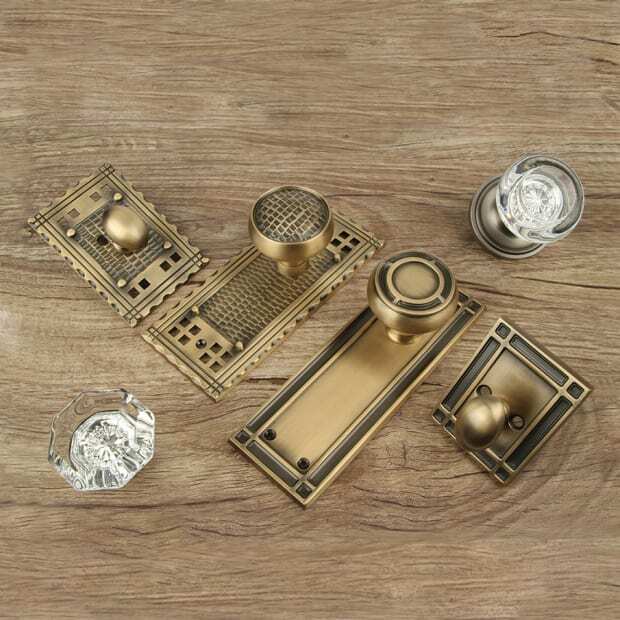 Distributor of knobs, hinge plates & pulls for cabinetry & furniture: hand-cast pewter or bronze with additional plating options; brass, copper, nickel & gold finishes; semi-precious stones, enamel & hand-tinting. 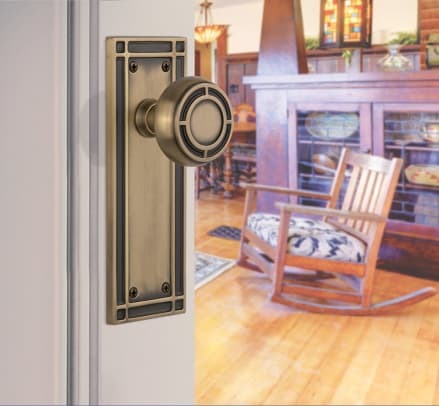 Iron Lock Imports, purveyors of the finest old world iron door hardware, offers designs forged in the breath-taking Austrian Alps.